We believe martial arts training empowers girls and boys, giving them a natural confidence that can ward off bullies and predators. 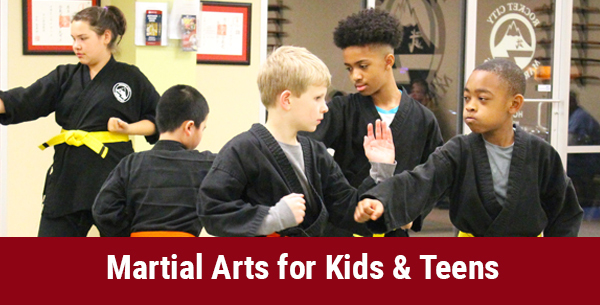 Martial arts will improve your child’s fitness, focus, and discipline, all while making them great role models and building leadership skills. Kids will learn non-violent conflict resolution while making new friends, and most importantly, having fun. He was carrying himself with more confidence and standing taller. "A little over a year ago, my son was searching for a new activity & after the first RCMA class, he decided that that he liked it. Within 3 classes, I was seeing a change in him. He was carrying himself with more confidence and standing taller. It was awesome to watch. The change is due in large part to Sensei Matt & the environment he creates in the dojo. This extends to all of the instructors. There is a great sense of fun & camaraderie during class. Most recently I have joined the Adult class. The encouraging & supportive environment extends to the adults as well. I am excited to share my son's passion & learn a lot along the way. We love RCMA and the people in it!" We offer training in a style called Gyokushin Ryu, an aikido-based martial art that incorporates elements from judo, jujitsu, and karate. 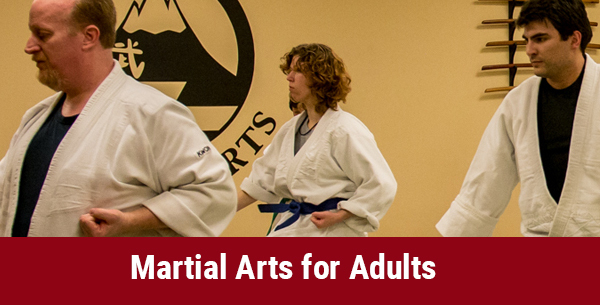 Our curriculum includes various modifications on strikes, throws, joint manipulations, ground fighting, and weapon disarmament techniques. Aikido is effective for even the smallest practitioner, as our techniques can be modified to each student based on their height, weight, fitness level, and most physical limitations. SEE OUR SCHEDULE AND SPECIALS! Get started today by clicking below. We’ll send you information about how you and/or your family can start training!